I’ve always loved those “making of” documentaries. Everyone can see the movie. Seeing behind the scenes is another story. That’s why I wrote Harvey Meiselman about his upcoming Baseball Address List that ships in just a few weeks. He’s at www.sportsaddresslists.com. He’s a tireless tracker of elusive baseball names, the guys who never stay put. Was it a shy superstar or humble Hall of Famer that he was proudest of pinpointing? Nope. His choice surprised me! Harvey replied. During that time I tracked him using my resources through 4 different addresses in MD. I had been working with Jack Smalling for a few years doing updates to his baseball addresses and I tried to pass this address update to him but he didn’t think it was accurate and never used it. I told Jack I wanted to do my own baseball address list and he asked me to wait 2-3 years because he was “afraid” I would use all his information which I found to be 55-60% inaccurate. I had been researching my own MLB addresses, from scratch, since 1988, and told him I would not use any addresses he had on his list unless I researched it myself and confirmed it was correct. So, in 2002, I came out with my Baseball Address List and it’s now my best seller of all the lists that I produce. 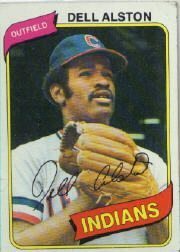 Well, to make a long story short, Dell Alston has moved 3 more times through this year but because of the address I found in MD a lot of collectors had successes with him and dealers were contacting him to do private signings and bring him in for shows. If you look at what’s included in Jack’s baseball list and then check the addresses in mine, you’ll see that I took his idea 5 steps further than he probably ever imagined or was able to do (I include signing fees, ex-MLB players working for teams as coaches and managers, team addresses and websites and much more) that give collectors a much better contact point to get players autographs. I believe in Harvey and his addresses. Make it a happy hobby new year. Get his 2013 edition today! Coming Wednesday: Letters to help a deserving Yankees fan? Thank you for sharing the story behind Meiselman list. Years ago I used Smalling’s list since it was the only one around. I’m not even sure how I found Meiselman’s list around 2006, but it’s the best one around.